One thing that most people associate entrepreneurship with is the pile of financial rewards at the end of that journey. That’s a pretty common (and fair) reason why most would consider becoming an entrepreneur anyway. However, entrepreneurship is about problem-solving more than anything else really. Which is why it’s such an important aspect of everything we want to hold on to in this Africa Rising tapestry. We need problem solvers who will in turn get rewarded for coming up with solutions for the many challenges we have on our continent. There’s an innovation challenge and entrepreneurship fair targeted at such local problem solvers. If you an entrepreneur and have an innovative idea you want to transform into tangible product, you can take part in this challenge called Innovation Baraza. What is Innovation Baraza and why should I take part in it? The Innovation Baraza is a national innovative fair sponsored by The United States Embassy and The Udugu Institute. It will be held in Harare on the 10th of July. It’s not just a tech challenge. It’s open to any sort of idea, innovation and solution for problems that are specific to our environment. This challenge is similar to what we’ve come to see in other local tech entrepreneurship challenges such as Startup Weekend. So in the same way the benefits that any team or individual taking part are just the same. You’ll get feedback on your idea or solution from judges and fellow innovators. This is a useful way to understand its real potential. Innovation Baraza can provide the yardstick to measure the true worth of your idea. There’s the opportunity to network with fellow innovators and different players in various industries in Zimbabwe who are passionate about innovation and there is mentorship that is being offered to the participating teams. It is also a way to contribute to your community through the development of a solution that is relevant to the challenges in the Zimbabwean environment. To take part in the Innovation Baraza you need to apply on their website. If your idea is selected, you will be one of 40 innovators that get to exhibit at a live judging session. Ten innovators will be selected to pitch their ideas in an “Innovation Hunt”. Only five of the most promising innovators will get to go to the prestigious Simba Savannah Investors Forum. A stipend will be provided to cover the cost of transports and other incidentals for these startups. All participants at the Savannah Forum will have access to mentorship from business and innovation leaders who will work with the teams following the July fair. This is meant to help them refine their ideas for presentation to a select group of investors in October this year. 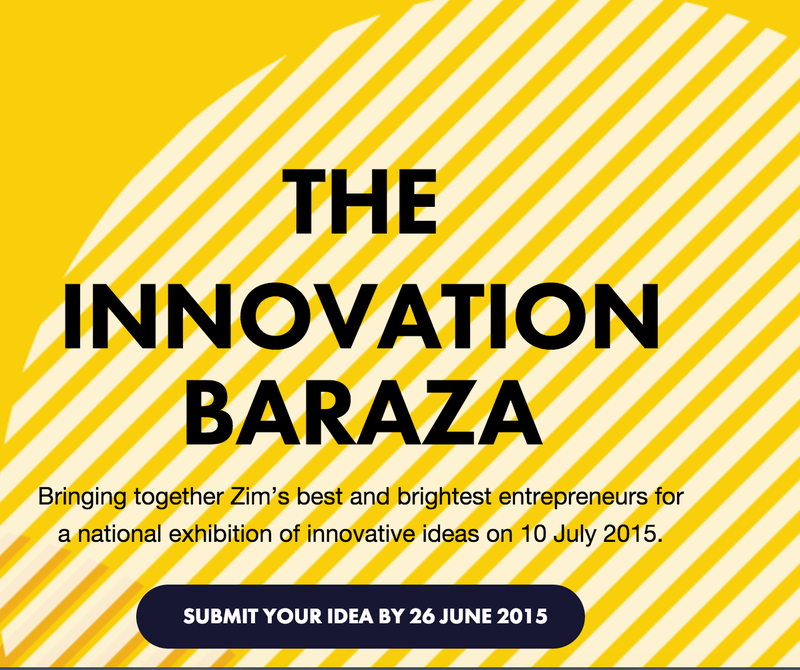 The deadline to submit your idea is 26 June 2015. Is Zimbabwe really that much out of touch with tech?